Limehouse Produce donates all the produce, fruit and eggs for Camp Happy Days and has done so since 1993 when Jamie Westendorff began providing all the food. We are happy to be able to help with the Camp’s cause and support Jamie as, rarely recognized for this fact, he personally pays for all the food consumed at the Camp except our contribution. The Greater Charleston Restaurant Association, Inc. is a trade organization that has annual events to raise money and donate to local charities. These events would not be possible without the support and commitment of community-minded companies like Limehouse Produce. The Limehouses have been a part of the GCRA family for many years and their generosity and continued support have made us as strong as we are today. Most recently they participated in our Southern Living Taste of Charleston as the Restaurant Sign Sponsor which is illustrative of their commitment to support local restaurants. 365 days per year. Limehouse Produce generously supports 180 Place by donating thousands of pounds of fresh produce every year to feedhungry people in our community since it opened in 1984. Many years ago Andrea Limehouse was asked to donate to the once monthly Pantry at Holy Communion by a friend who attended the church. That friend no longer attends the church but Limehouse has continued to give 800-900 lbs of produce every month to their Pantry to add some fresh product to their offering. Patsy Prioleau is the tireless organizer and has been for many years. Limehouse Produce has been associated with the Food Bank since it opened at the Old Navy Base in 1983. They provide all the sweet potatoes for the holidays, amounting to 13,000 lbs every year. Limehouse Produce is also a sponsor every year of the Chef’s Feast benefitting the Kid’s Cafe, a wonderful community occasion. In the last 10 years, Limehouse Produce has donated nearly one million pounds of fresh produce to the Lowcountry Food Bank in support of those who experience hunger in our community. In addition, their financial support and advocacy efforts demonstrate their passion for our shared vision to end hunger. The LCFB is honored and privileged to partner with Limehouse Produce. The Lowcountry Food Bank distributes 19 million pounds of food a year to more than 200,000 families, children and seniors throughout the 10 coastal counties of South Carolina. The Lowcountry Food Bank is a clearinghouse for donated food products that are distributed to a network of more than 320 member agencies including soup kitchens, homeless shelters and emergency food pantries. For over 40 years, the wonderful people at Limehouse Produce have been great friends and supporters of the monks at Mepkin Abbey by distributing the monastery’s products to local grocery stores and restaurants. Because of Limehouse’s help, the monastery’s products have enjoyed great success in our area. What does Mepkin Abbey do? The monks at Mepkin Abbey live simple lives of prayer, sacred reading and work. Over the years, this work has been agricultural in nature and currently the monks grow oyster and shiitake mushrooms which are distributed by Limehouse Produce to restaurants and grocery stores in the Lowcountry. Prior to growing mushrooms, the monks provided eggs to Limehouse Produce for many years and also grew mirco greens for our distribution. Andrea Limehouse met Sue Hanshaw the founder of the Tricounty at a local produce meeting at Park Circle many years ago. Since then Tricounty comes to Limehouse Produce three times a week to pick up product while making their route picking up food items from local grocery stores. The product is converted into a healthy meal offered free of charge three days a week to up to 300 persons at the Ministry where they can also receive social assistance. Tricounty Family Ministries is a faith-based, non-denominational organization serving those in need in Charleston, Dorchester, and Berkeley counties for the last 30 years. We receive support from local vendors to provide nutritious foods to the community. This support is vital to our ministry by providing food for our hot lunches as well as our emergency grocery program. We have provided over 300,000 meals at Tricounty Family Ministries using donations from Limehouse Produce. A great entrepreneurial story is what Limehouse Produce is. Jack and Andrea are strong forces in our community and are two of the most generous, down to earth, witty people we know. Our relationship with Limehouse started back when our Founder, Jimmy Bailey, went to college with Jack and the relationship has flourished since. They are involved in a lot of charities and have big hearts. Charleston is lucky to have them here. We are the only organization in the state of South Carolina dedicated to teaching youth the principles of entrepreneurship and free enterprise. Mission is to teach entrepreneurship by training teachers free of charge, to young South Carolinians of all socioeconomic backgrounds to enhance their economic productivity by improving their business, academic, and life skills. Limehouse Produce is a longtime supporter of the Festival as well as of Charleston’s overall restaurant community. Without the generous support of locally owned businesses like Limehouse, the Festival would not be what it is today! The annual BB&T Charleston Wine + Food Festival®, held annually the first full weekend in March, celebrates the best that the city of Charleston has to offer: a local food culture rich in tradition, James Beard Award-winning chefs, and the best city to visit in the world, according to Condé Nast Traveler’s 2012 Readers’ Choice Awards. The Festival, a recognized 501(c)(3) non-profit organization, is a celebration of Charleston’s culinary excellence and renowned culture, which benefits scholarship programs for the culinary and hospitality workplace. Limehouse Produce has sponsored the Harvest Feast for the last three years, the last two with help from Jamie Westendorff. This brilliant example of agricultural education really changing the way children think about food has been very successful with the devotion of the initiators Karalee Nielson, Drew Harrison and Chauncey Jordan. We also donated pumpkins for the Annual Halloween Carving. We are 100% behind this School Gardening model. The Green Heart Project is a community-based volunteer organization that integrates school farms as outdoor classrooms in an effort to teach students the virtues of hard work, respect and success and reiterate classroom curriculum while connecting students and volunteers to fresh, healthy, locally-grown produce. Over the past 4 years the Limehouses have provided not only support of our work but also shared a wealth on knowledge on the history of agriculture on Johns Island and the Lowcountry. Andrea’s expansive knowledge of the farmers in the area, the robust tomato farming that once was there and the sad demise of many of these farmers due to the impact of industrialized farming and development. The Limehouses have a true passion for seeing agriculture continue to thrive in the area and have proven that with their support of Rosebank Farms and now Dirt Works Incubator Farm on their property at Rosebank. Sidi has played the role of mentor to many of our new farmers and the Limehouses have leased 10 acres to LLF for $1 per year to provide 5 new farmers the opportunity to have access to land, a tractor provided by Steen enterprises, a packing shed, cooler and a mentor farmer. The hope is that by providing these new farmers a low cost opportunity to enter farming they can hone their skills and build their market before launching their own enterprise. Many of these new farmers sell their product to Limehouse Produce. With the help of the Limehouses we hope to make the Lowcountry once again a robust and viable agricultural community. “Andrea Limehouse is one of the most generous spirits I’ve ever known. While her name is ‘Limehouse’ it is certainly not ‘limelight’. She exemplifies Matthew 6:2, ‘so when you give something to a needy person, do not make a big show of it…’ Andrea quietly goes about making this world a better place – one person at a time.” – Mary Thornley, TTC President. Andrea and Limehouse Produce support Trident Technical College in a variety of ways, but most importantly through personal involvement with the TTC Foundation and the Culinary Institute of Charleston (CIC). Andrea has served on the TTC Foundation board since 2005, and has been a member of the board’s executive committee since 2009. She also served on the steering committee for the foundation’s most recent Building Opportunity capital campaign which surpassed its fundraising goal by more than 10%. As part of the campaign, Andrea and Jack created the Limehouse Produce Endowed Scholarship Fund which provides scholarship support for students enrolled at CIC. In addition to their scholarship, Limehouse Produce consistently supports CIC’s students with generous donations of fruit and vegetables for student learning activities. Limehouse Produce has also served as a sponsor for A Night in the Valley (the foundation’s annual fundraising gala) since 2005. The Trident Technical College Foundation and the Culinary Institute of Charleston are extremely grateful for the Limehouse family’s support as we strive to provide a quality and affordable education to students throughout the Lowcountry, and they actively support our vision of creating community investments today for tomorrow’s workforce. Limehouse Produce provides fresh produce to the animals in the care of the Turtle Survival Alliance. 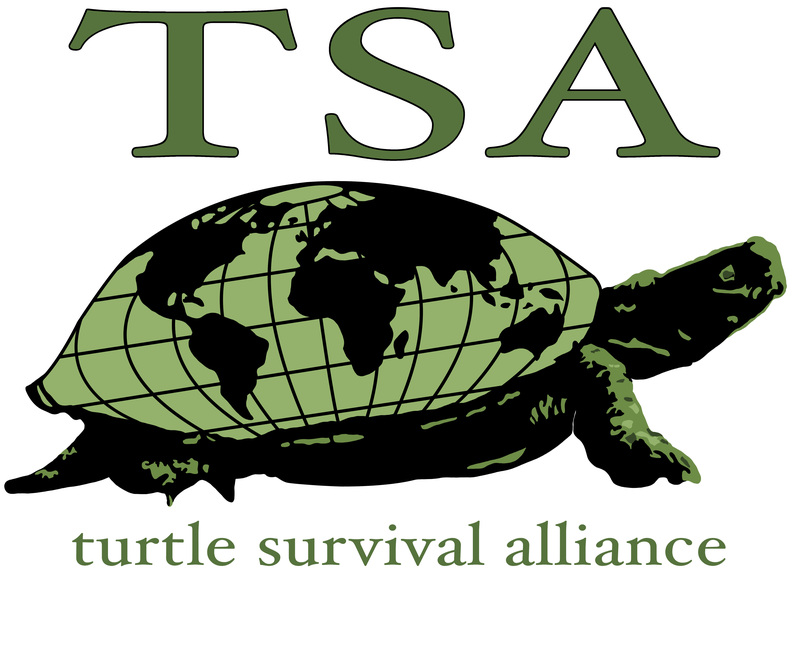 The Turtle Survival Alliance (TSA) protects turtles to ensure that these species do not vanish forever. The TSA, a globally recognized force for turtle conservation, was established in 2001 with a commitment to “zero turtle extinctions. ” The goal of the TSA is to prevent turtle extinctions by employing effective conservation action through the development of global living collections and recovery programs around the world. The driving force behind plummeting turtle populations around the world is modern commercialized hunting of wild turtles, primarily for human consumption but also for traditional medicinal purposes, and for sale as pets. In 2013, the TSA opened a world class conservation center in Cross, South Carolina. This center, the TSA’s first and only U.S.-based conservation center is home to a growing collection of more than 600 turtles and tortoises, representing some of the world’s most critically endangered species.